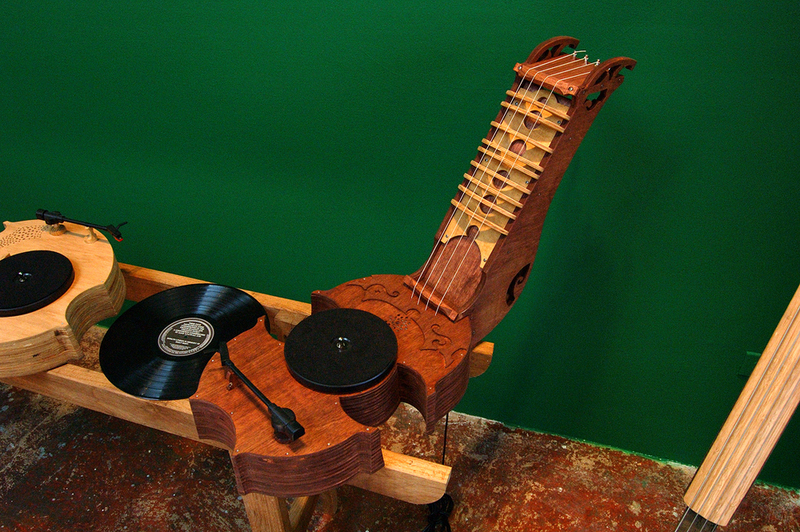 I received a 2005 Creative Work Fund grant in performing arts to collaborate with Kronos Quartet, creating original Phonoharps and composing a work entitled Cerulean Sweet, dedicated to Sally Wingwall and using elements of sound drawn from jazz great Charles Mingus. 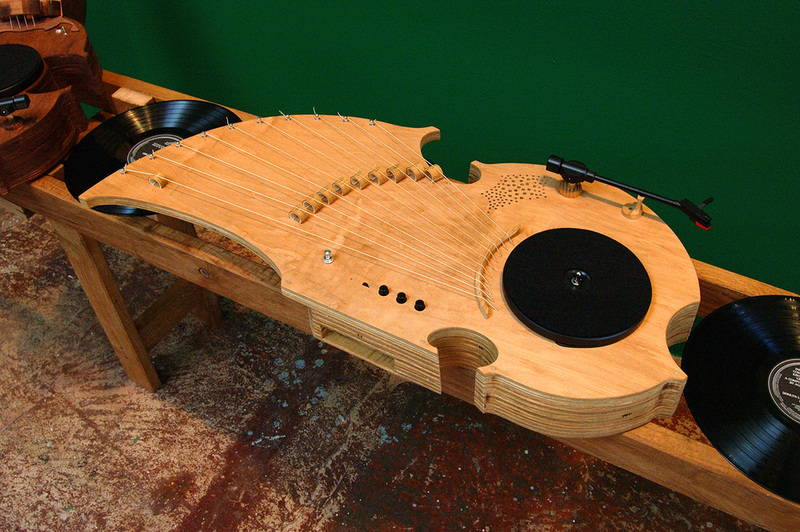 The Phonoharps are hybrids of turntables and stringed instruments - at once highly sculptural objects and functional instruments that are quite versatile in performance. Cerulean Sweet premiered at Carnegie Hall in March 2006.